The definition of EDHECinfra index families starts with the identification of an investible universe meeting our principal market minimum inclusion criteria discussed, and the construction of a representative sample of this universe using constituents meeting the index constituent minimum inclusion criteria.  There are two investible universe covered by EHDECinfra indices: unlisted equity and private debt. An index family is defined by its constituents i.e. the filters applied to the sampled universe. Within each family, multiple indices can be computed using a range of weighing schemes and reporting currencies (see index rules). Reflecting the range of credit risk buckets. Hence, our broad market index families are defined using the filters that are the most relevant to investors. 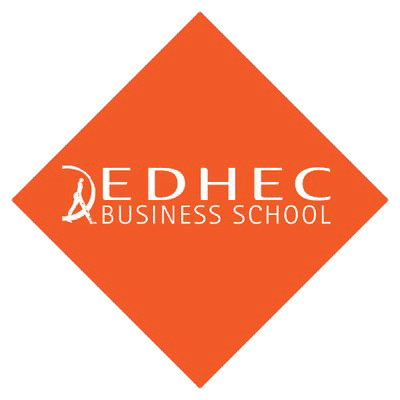 Families of EDHECinfra indices fall into one of three categories: broad market indices, market sub-indices and custom benchmarks. Broad Market Index Families are the most relevant to describe the characteristics of unlisted infrastructure as an asset class and aim to reflect the notion of Principal Market under IFRS 13. 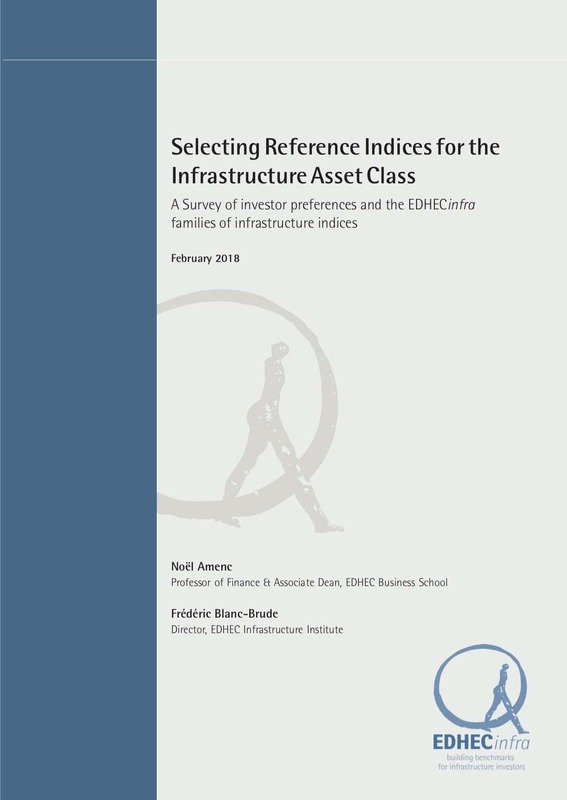 For each of the unlisted equity and private debt universes, there are four Global EDHECinfra Broad Market Infrastructure Index Families providing investors with an asset class-level view of the risk and performance of infrastructure investments. While the global index aims to capture the performance of all private and investible infrastructure companies, major distinctions should be made between emerging and developed economies, and between all infrastructure and investments that are created through project financing. 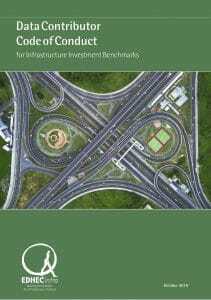 Beyond broad market indices, which aim to represent the infrastructure sector as a whole, a number of sub-indices are relevant to infrastructure investors, especially for the purpose of performance monitoring. 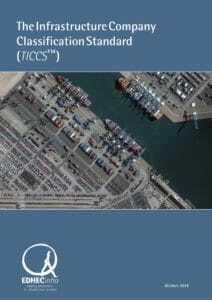 These filters correspond to the GICCS classification of infrastructure companies and are described in the table below. Hence, broad market families can be sub-divided into 44 sub-index families of unlisted infrastructure equity, and 80 sub-index families of private infrastructure debt ( Assuming three credit risk buckets, three maturity buckets and three main underlying instrument currencies). With 124 potential sub-indices, investors can track the risk-adjusted performance of almost any specialised manager or dedicated account that is focused on a sub-segment of the broad infrastructure market. Finally, investors and manager may need to access specific custom benchmarks for monitoring, valuation or due diligence purposes. Strictly speaking, these benchmarks are not market indices; they are too narrow to correspond to an asset class or a segment of the infrastructure market. 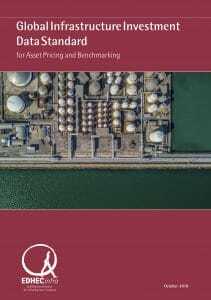 Nevertheless, custom benchmarks could be constructed to answer specific research or strategic questions and, for example, understand the evolution and the risks of the UK power market, or the global airport sector, etc. 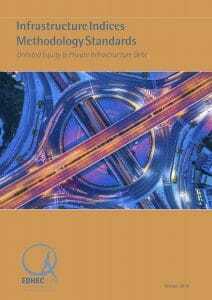 Corporate structure classes (2) and subclasses (4). Thus, if enough constituent data is available, hundreds of custom benchmarks can be envisaged that can be relevant to specific investors or products. The filters that can be applied to the sampled investible universe can potentially allow the computation of hundreds of indices, sub-indices and custom benchmarks. However, for numerous combinations of these filters, a sufficient number of constituents may be lacking.  In other words, EDHECinfra index families are considered live and computed if they include at least 25 constituents for any reference period of at least five consecutive years. The indices available within families meeting the minimum constituent criteria are computed during the relevant reference period only.